This entry was posted in Tamil Blog and tagged ADMK, Advani, BJP, Chennai, Cho, Cho S Ramasamy, CM, Dinamalar, Dinamani, Events, Gujarat, Idlyvadai, India, Modi, Rajni, Tamilnadu, Thuglaq, Thuklak, Thuklaq. Bookmark the permalink. Thanks for the report. I have been attending this program for the past two decades, except this year due to my transfer. This is a unique program where the readers of this magazine poses questions to the editor and get his response. 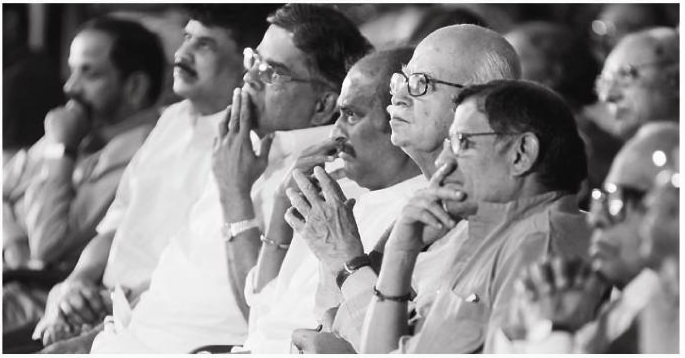 The most extraordinary thing about the event is, in spite of jam packed over flowing crowd that throng to hear Mr.Cho Ramaswamy’s speech, utmost discipline will be maintained by the crowds. This highlights the kind of people who follow thuglak’s views. It is unlikely with any other magazine.Once again many a thanks for the crisp coverage.